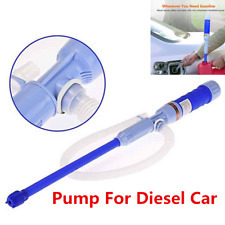 1 x for Diesel Fuel Electric Battery Syphon Pump. syphon pump will draw water through the pipe and pump it out of the hose. Emptying and refilling fish tanks, aquaria. Cordless water pump will move water for you! "DNJ Oil Pump --. Condition : New. Made with highly durable materials for lasting strength and service. Therefore all implied warranties that may apply to your part are limited to the duration of this written warranty. Fits Following Models: 1997-2000 For infiniti QX4 3.3L 3275CC V6 SOHC, (12 VALVE), ENG CODE "VG33E" 2001-2004 For Nissan FRONTIER 3.3L 3275CC V6 SOHC SUPERCHARGED, (12 VALVE), ENG CODE "VG33ER" 1999-2004 For Nissan FRONTIER 3.3L 3275CC V6 SOHC, (12 VALVE), ENG CODE "VG33E" 1996-2000 For Nissan PATHFINDER 3.3L 3275CC V6 SOHC, (12 VALVE), ENG CODE "VG33E" 2002-2004 For Nissan XTERRA 3. Oil Pump Fit 96-04 Nissan Pathfinder Xterra Frontier Infiniti QX4 VG33E SOHC. Lubricating critical components to extend the life of the engine. Aluminum die-casting technology allows for size and weight reduction. Deliver ideal oil pressure to the engine without creating excess load. 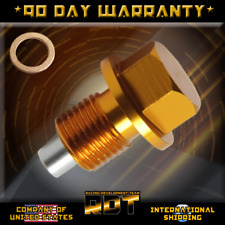 Replace OE Part #: 150100W001. 1997-2000 Infiniti INFINITI QX4 3.3L 3275CC V6 SOHC, (12 VALVE), ENG. CODE "VG33E" 1997-2000. 1999-2004 Nissan NISSAN FRONTIER 3.3L 3275CC V6 SOHC, (12 VALVE), ENG. CODE "VG33E" 1999-2004. 1996-2000 Nissan NISSAN PATHFINDER 3.3L 3275CC V6 SOHC, (12 VALVE), ENG. Nissan Pathfinder V6 3.3 Litre Engine 1996-2000 & Infiniti QX4 1997-2000. Only you can see what it costs on your end. Oil pump for 96-04 Nissan Pathfinder Xterra Frontier Infiniti QX4 VG33E SOHC .Every oil pump is engineered, manufactured and assembled to the highest material and production standards. Manufacturing processes include state of the art CNC machines, and designed using the best technology and with customers in mind. This oil pump will meet your needs and deliver great quality at an affordable cost. Beck/Arnley is a leading specialty provider of premium parts for cars, light trucks, and SUVs. We provide the import parts by model and year to match OE fit, form, and performance. Overdrive has been in the automotive parts industry for over 15 years. This Hitachi Engine Oil Pump fits your 1999 1998 Nissan Pathfinder 3.3L V6 and is perfect for a tune up or performance upgrade. Trust in Hitachi for automotive parts built to perfection and precision. This item is new in the box and is made to the correct specs to fit your vehicle. Condition New. MPN: OUP0025. Overdrive has been in the automotive parts industry for over 15 years. FIND THE RIGHT PART FOR YOUR CAR. QUICK LINKS. MIRROR ASSEMBLIES. MIRROR GLASS. OTHER PRODUCTS. Manufacturer Part Number: OP634. MPN: OP634. TIRE CHAINS. TIMING BELT. Tire Chains And Accessories. Timing Parts/Kits-Valve Train. Rotating Electrical. Radiators And Cooling. This Listing Includes: 1 - OUP0025 - Hitachi - Engine Oil Pump New - Hitachi OUP0025 / 15010-0W001 Oil Pump . If you are looking for a high quality Oil Pump for your 1997-2000 Infiniti Infiniti QX4, then you have found the right product! Look no further for parts that stand up to the standards you expect in improving the look of your vehicle. Trending at $20.19eBay determines this price through a machine learned model of the product's sale prices within the last 90 days. 1999-2000 Subaru Impreza RS Coupe 2-Door. 1996-1998 Subaru Impreza Outback Wagon 4-Door. 2005-2005 Subaru Impreza Outback Sport Wagon 4-Door. 1995-1996 Subaru Impreza LX Wagon 4-Door. 1995-1996 Subaru Impreza LX Sedan 4-Door. Part Number: OUP0025. Manufacturer : Hitachi. This part generally fits Infiniti, Nissan vehicles and includes models such as Pathfinder, QX4 with the trims of Base Sport Utility 4-Door, LE Sport Utility 4-Door, SE Sport Utility 4-Door, XE Sport Utility 4-Door. Trust in Hitachi for automotive parts built to perfection and precision. Sixity Auto Direct stands for value, selection, and quality. Add details likeI tried to install this part, and it didn't fit. AP Collison parts were designed with YOU, the do-it-yourselfer, in mind. We want this process to be entirely easy for you! Position on vehicle N/A. If you want a 12-month warranty. - if you want to be sure you're getting the right part. You've Made the Right Choice. Part #: OP634. Warranty Type: Manufacturer Warranty. WARRANTYWarranty Duration: Other. No local pickup option available. This item includes: 1 Oil Pump Fits Following Models: 1997-2000 For infiniti QX4 3.3L 3275CC V6 SOHC, (12 VALVE), ENG CODE "VG33E" 2001-2004 For Nissan FRONTIER 3.3L 3275CC V6 SOHC SUPERCHARGED, (12 VALVE), ENG CODE "VG33ER" 1999-2004 For Nissan FRONTIER 3.3L 3275CC V6 SOHC, (12 VALVE), ENG CODE "VG33E" 1996-2000 For Nissan PATHFINDER 3. This part generally fits Infiniti, Nissan vehicles and includes models such as Pathfinder, QX4 with the trims of Base Sport Utility 4-Door, LE Sport Utility 4-Door, SE Sport Utility 4-Door, XE Sport Utility 4-Door. Our dedicated support staff will be happy to help! Local pick up is available from our warehouse.